7/18/2012Share this story on Facebook! 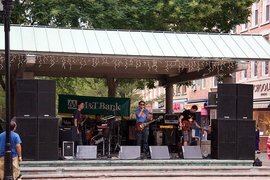 It's not quite Bonnaroo, but the Finger Lakes is known for its own summer music festival, a four day marathon event featuring local music, art, and dance. More than 60 artists perform at Grassroots, which originally began as a benefit concert for local AIDS support group, AIDSWork. Now, all profits from the festival go back to the community — supporting groups like the Ithaca Free Clinic, Doctors Without Borders, and Ithaca Ballet. Every Thursday, downtown Ithaca is alive with the sounds of summer. 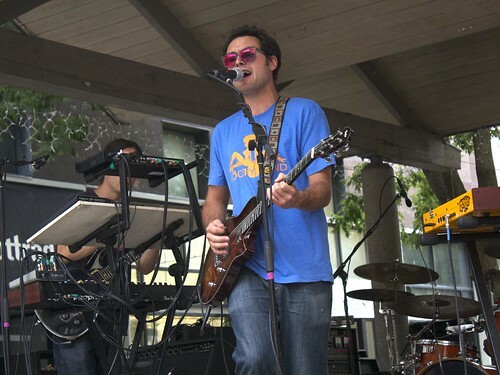 The Summer Concert Series is a signature part of Ithaca's vibrant music scene, where local artists take the stage each week and concert-goers dance to the beats and melodies that fill the Commons. The best part? It's completely free! From folk, rock, and hip hop to funk, jazz, and Caribbean, there's something here for all music tastes. 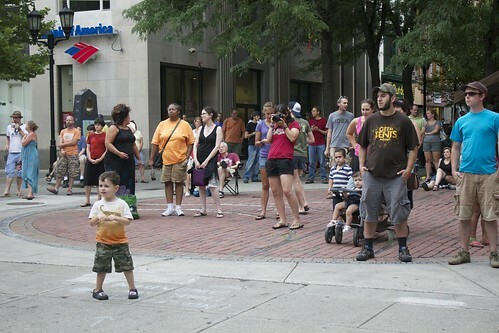 Not only is the music itself special to Ithaca, but the concerts themselves are a chance for the community to peek out of the shops in the Commons or set up chairs near the stage to watch, sing, and dance along to some local tunes. On the night we visited, Jimkata, an electro-rock band and Ithaca favorite, rocked the Bernie Milton Pavilion downtown. The crowd that formed in front of the stage got a sneak preview of what they can expect at the Finger Lakes Grassroots Festival, an annual four-day music festival featuring artists from around the area. The series runs every Thursday from 6-8 p.m. in the Commons until September 6th, so be sure to check out the action once classes begin in August. You might just discover your favorite new band!